The Wall Street Journal recently reported on dog trainers like Anna Jane Grossman in Manhattan teaching dogs to use an iPad, using their noses, in hopes that it will become a friend in times of solitude, perhaps even teaching social and motor skills. The Wall Street Journal recently reported on dog trainers like Anna Jane Grossman in Manhattan teaching dogs to use an iPad. Grossman smears the screen with peanut butter to encourage canines to keep their noses to the grindstone, er, touch screen, during her iPad clinics. They are distractible. By contrast, the story portrays cats like Pickle, of Brooklyn, as early, enthusiastic adopters. Pickle’s owner, on a lark, let his cat take a whack at one app. Pickle became consumed and seemingly frustrated by the endless pursuit. So Dad took the iPad away. The iTunes store carries at least a dozen pet-specific apps, targeted mainly to cats and dogs. One of the cat apps became a cash cow for a shelter, which sold feline iPad paintings, signed Frido Katlo and Jackson Pawlick, as a fundraiser. One canine app, “Game for Dogs,” makes accommodations for dogs’ vision, with a simple background and stark contrast between animals and the screen. 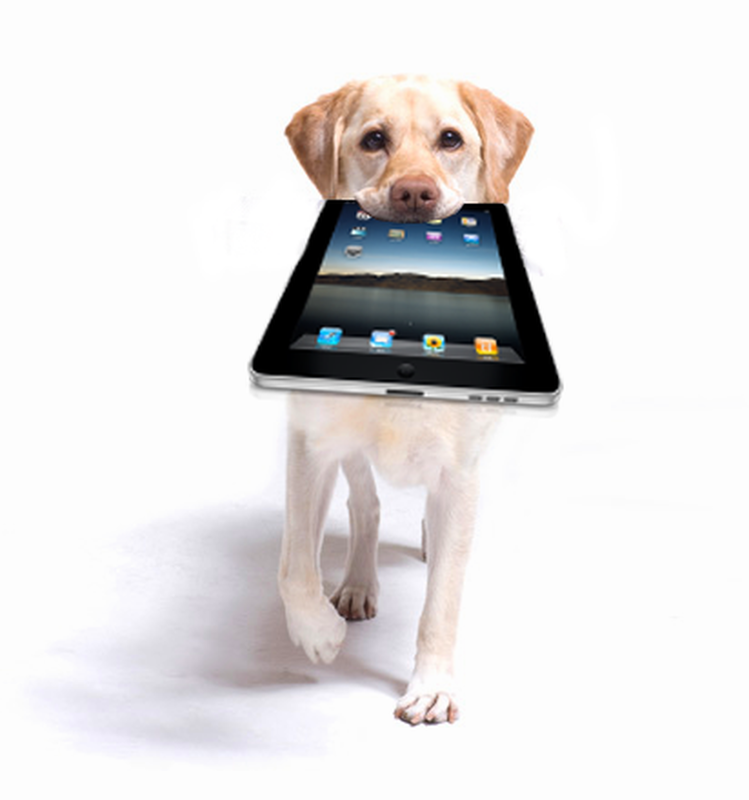 Designers tested it on their Yorkshire terrier, who now starts “freaking out” if she sees the iPad. “She must think there are animals in it,” owner Ben Kamens told the WSJ. Perhaps parental warning labels will be next.